Trent Rivers Trust (TRT) has delivered a retro fit Sustainable Urban Drainage scheme (SuDs) to the Leisure Centre in Measham as part of the Catchment Partnership Action Fund. 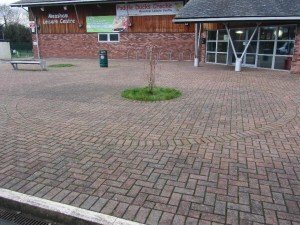 On Thursday 14th July Trent Rivers Trust (TRT) official opened of our retro fitted Sustainable Drainage System (SuDS) at Measham Leisure Centre, Measham. It was opened by Mark Owen, Chairman of the TRT trustees who highlighted the effective partnership working from TRT, Natural England, Environment Agency, North West Leicestershire District Council and Measham Parish Council which enabled the delivery of this exciting scheme. Working closely with stakeholders, funders and the site owners Measham Parish Council, TRT and designers Robert Bray Associates have developed an exciting scheme which showcase various techniques of retrofitting Suds an existing built environment. The project offers an integrated approach to dealing with rainfall that uses the landscape to reduce flood risk and reduce pollution by delivering a controlled flow of clean water into the River Mease SSSI/SAC. This has provided an attractive community feature, which benefits people and wildlife, helping to meet targets to achieve a good ecological status. 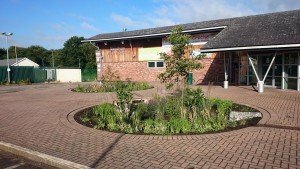 The scheme consist of two linked rain gardens being created in a large area of block paving at the front of the building, with a linear wetland to the rear. Mark Swain, Environment Agency Flood Risk Manager said ‘this project is a great example of how we can manage the impacts of rainfall in a more sustainable and natural way to help to reduce the risk of flooding and improve the natural environment’. 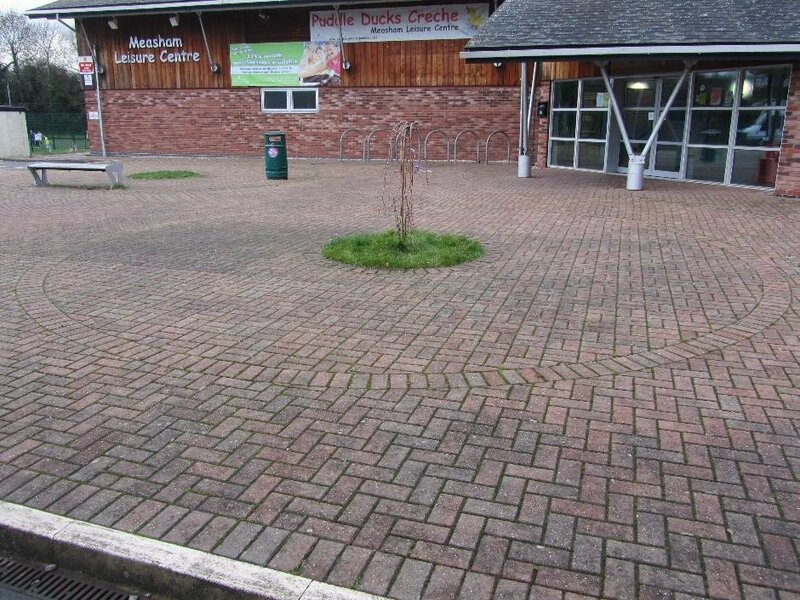 Colin Manifold, Chaiman Measham Parish Council said ‘The project is a great asset for the Leisure Centre and village. It looks fantastic and is doing a good job in storing rain water reducing flood risk in Measham’.